Mitchell Creek Marina & Resort is a fun and rewarding place to work. We are always looking for enthusiastic individuals for our Crew. 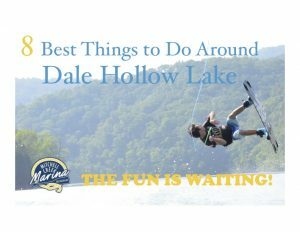 Our cabins are the cleanest on Dale Hollow Lake. We pride ourselves on our grounds remaining appealing for our clients and guests. Our store staff knows how to help a variety of visitors. Dock hands take care of the needs of those who take pride in their boats and watercraft. The folks who take reservations are vital to the growth of the company and the satisfaction of our customers. Every person who works at Mitchell Creek Marina is important. Below is a list of available positions at Mitchell Creek. If you are interested please complete our application online, or if you prefer you may download the application and email it to us here.